Karin Bergöö was born in 1859 and grew up in Hallsberg where her father was a successful businessman. Karin’s artistic talent showed itself early and she began to study art at the Arts and Crafts School (Slöjdskolan) in Stockholm. Following this she went on to the Art Academy (Konstakademien) 1877-1882. After leaving the Art Academy she moved to the Scandinavian artists’ colony in the little village of Grez outside Paris. 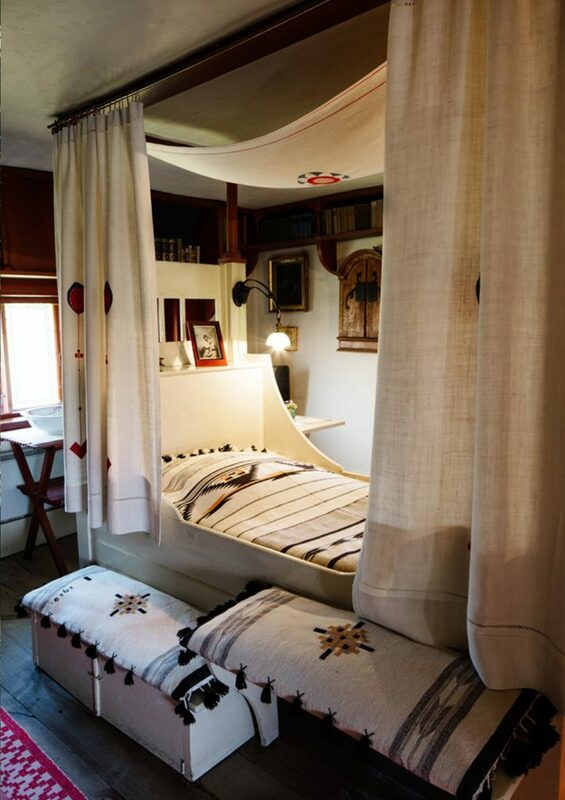 While she was there she met Carl Larsson and fell head over heels in love with him. They were married in 1883 and their first daughter Suzanne was born in 1884. They moved back to Sweden in 1885, first to Stockholm and then to Gothenburg where Carl worked as a teacher at Valands Art College. Karin had stopped painting and devoted all of her energy to their large family (eight children) and the home. In 1888 Karin’s father Adolf Bergöö gave Carl and Karin a small house, Lilla Hyttnäs. 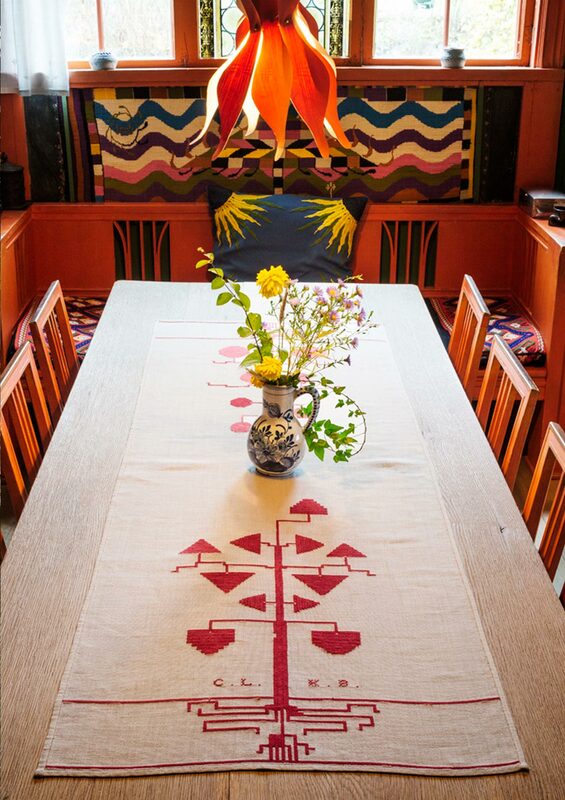 The couple transformed the house from a simple timbered cottage built in1837 into one of the world’s best known and most personal artist’s residences. Karin’s creative power and artistic taste is a very important component in Carl’s art. 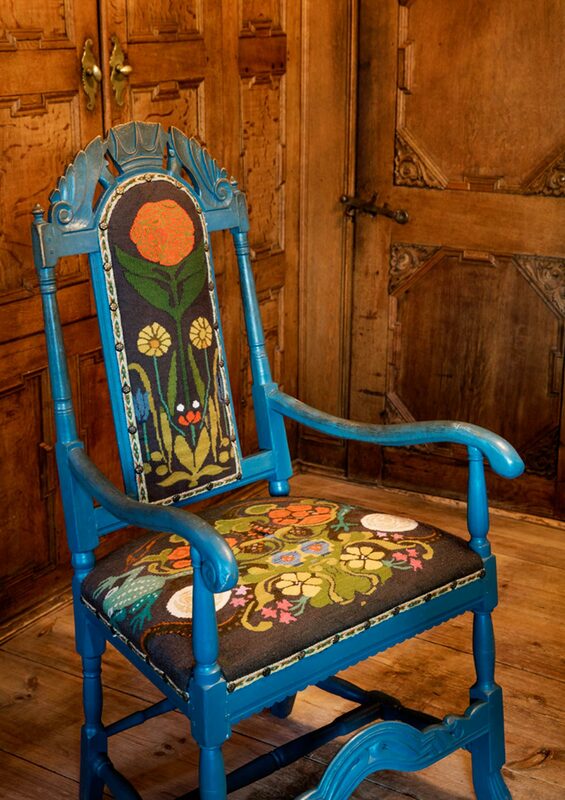 The bold interior decoration, the modern textiles, the rustic furniture – most of which she designed herself. 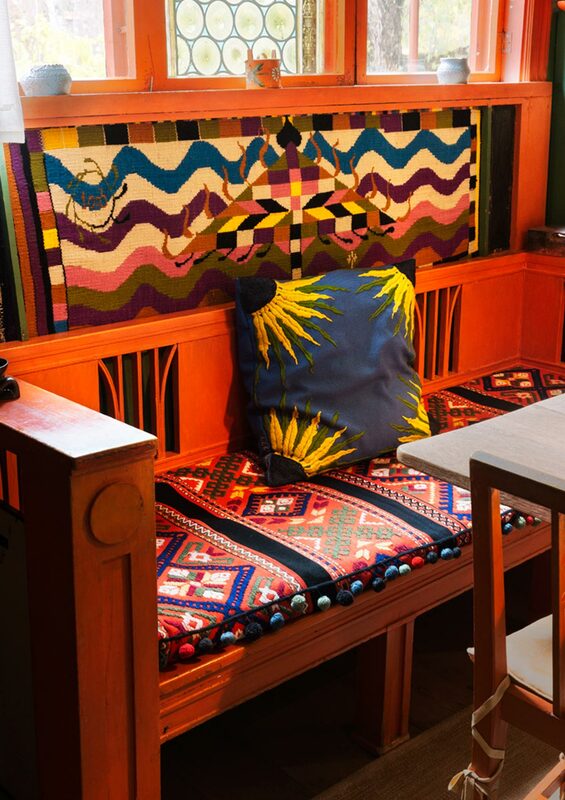 One could say that their artistic talents coexisted in powerful symbiosis – she created the home that he depicted and together they created the motifs that have come to characterise the picture of Sweden that is cherished the world over. 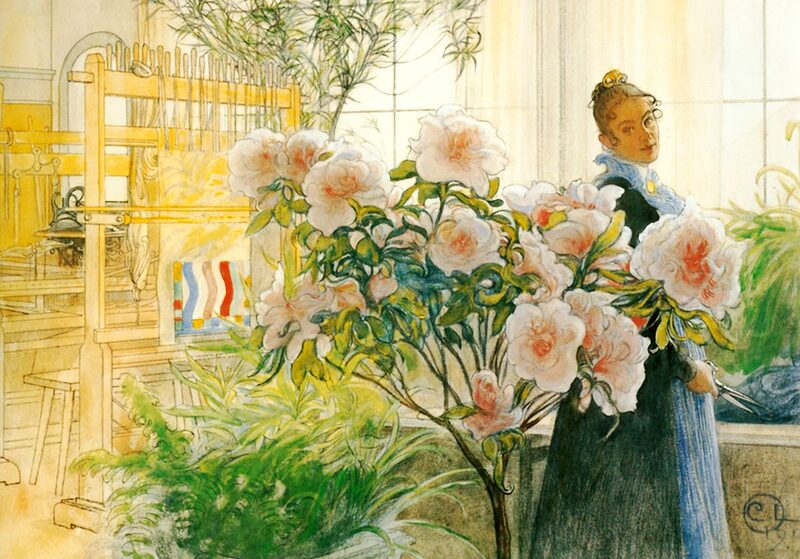 ”Karin was Carl Larsson’s muse. So thoughtful and quiet, he portrayed her as his idol, forever young. She was, in fact, hard-working, hard headed and highly creative. Carl relied upon her as a critic of his work. She trained as a painter at the Academy of Fine Arts in Stockholm and Paris. 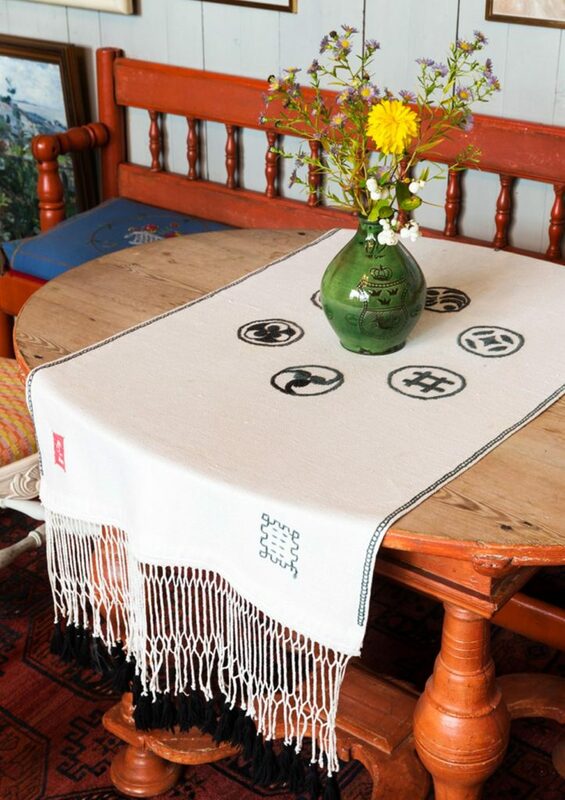 After the birth of Suzanne in 1884 she turned her artistry to decorating the home, especially to weaving and embroidery. She also designed furniture and her own and her children’s clothes. Her most creative period was between 1900 and 1910. Karin’s textiles were absolutely original. Pre-modern in character they introduced a new abstract style in tapestry. 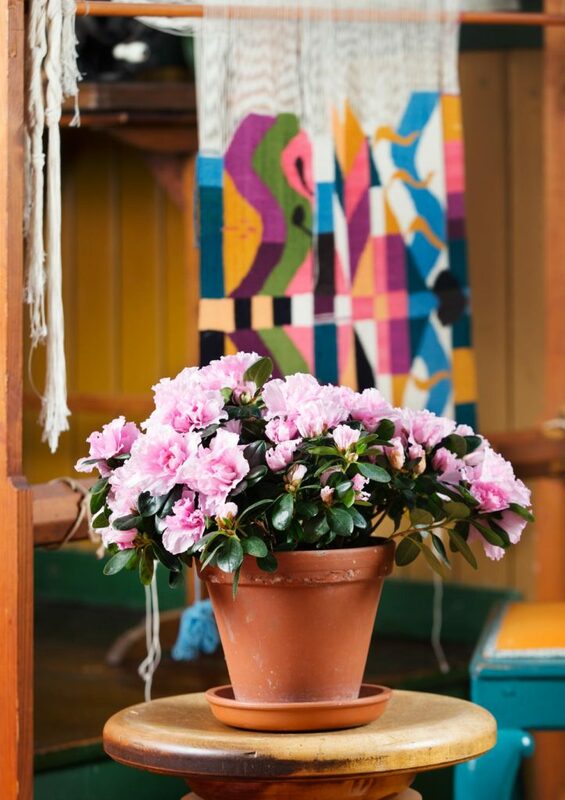 Her bold compositions were executed in vibrant colours; her embroidery frequently used stylised plants. In black and white linen she reinterpreted Japanese motifs. Technically adventurous, she explored folk techniques and experimented with others. 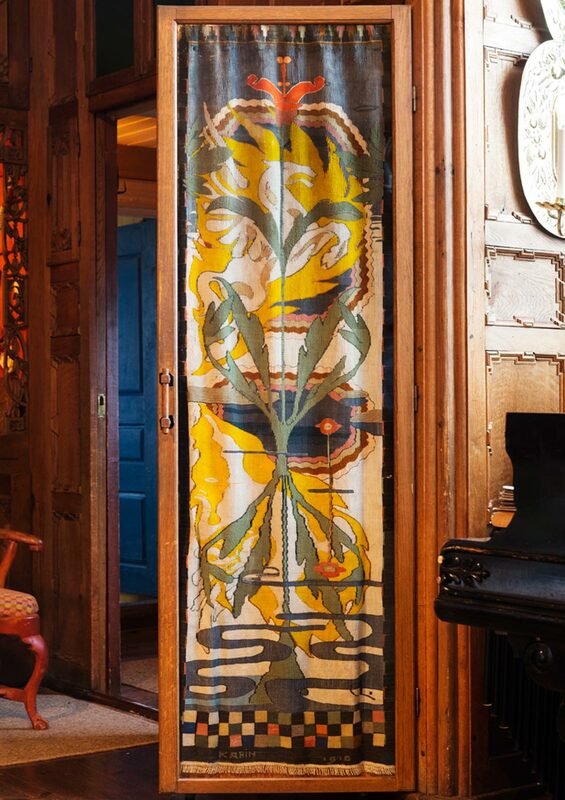 A good example of her bold weaving is the tapestry ”The Four Elements” that she composed in 1903 to be hung above the new sofa in the dining room. Born: 3 October 1859 in Hallsberg. Education: Franska skolan, Slöjdskolan and Konstakademien. Family: Married Carl Larsson in1883. Karin and Carl had eight children (of which one, Mats, died at the age of two months in 1895): Suzanne 1884, Ulf 1887, Pontus 1888, Lisbeth 1891, Brita 1893, Kersti 1896 and Esbjörn 1900. Important dates: In 1882 Karin went to the Scandinavian artists’ colony Grèz-sur-Loing in France. Soon afterwards she met Carl, married him in 1883 and gave birth to their first child, Suzanne, in 1884. In 1888 Karin’s father gave them Lilla Hyttnäs in Sundborn. 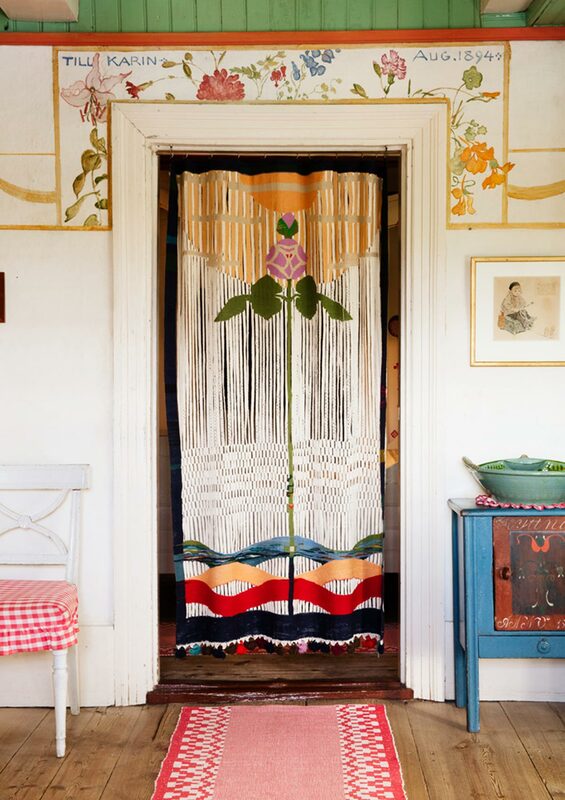 Karin applied her artistic talents in decorating their home with creative textiles, modern furniture och self-designed clothes, including the famous ”Karin apron”. 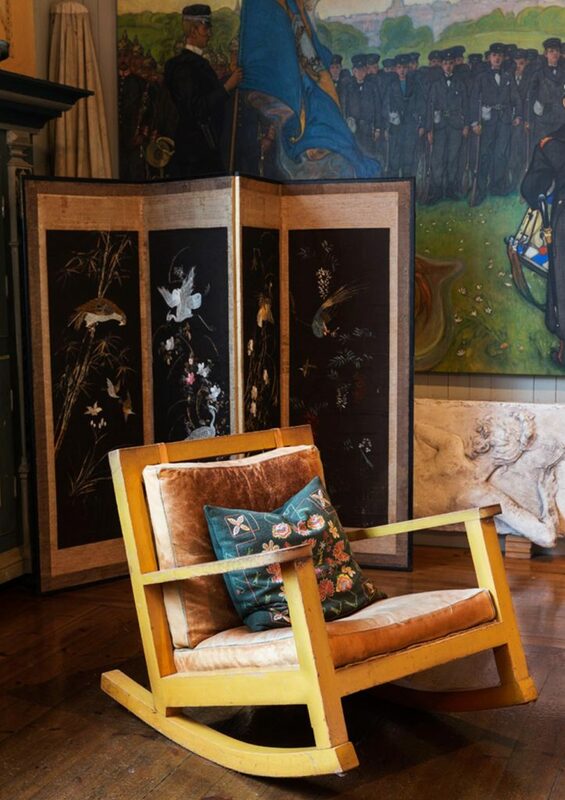 Karin’s very personal interior design made an international breakthrough at the Carl Larsson exhibition at the Victoria and Albert Museum in London in 1997.